Although every single organ of your body is of importance and has its own essential function to maintain the body by different processes. However, there are some organs without which the body can function almost normally and even if there are some changes in the lifestyle of such patients, they are really minor to none. For example, the removal of one kidney isn’t life-threatening and the second kidney can work on its own keeping the body functioning just like it once did with both the kidneys. Moreover, the removal of the esophagus (which is only a single organ in the body), doesn’t impose threats upon the daily functioning of the body or upon the process of digestion. You can calculate any kind of risk attached with your heart with the help of an online ASCVD calculator. When it comes to the heart, it is one of the most important organs of the body. The heart works as a double pump. It not only collects the deoxygenated blood from the different parts of the body but also pumps this blood to the lungs to convert it into oxygenated blood and then further distribution takes place. A person dies simply when the heart stops pumping blood so the value of this organ and how its health matters are of great importance. The importance of the heart’s health cannot be neglected. Many people, however, are unaware of this fact. The percentage of heart disease is being increased at a number which makes it worrisome and it is estimated that about 610,000 people in the United States die each year due to heart disease or cardiovascular attack. 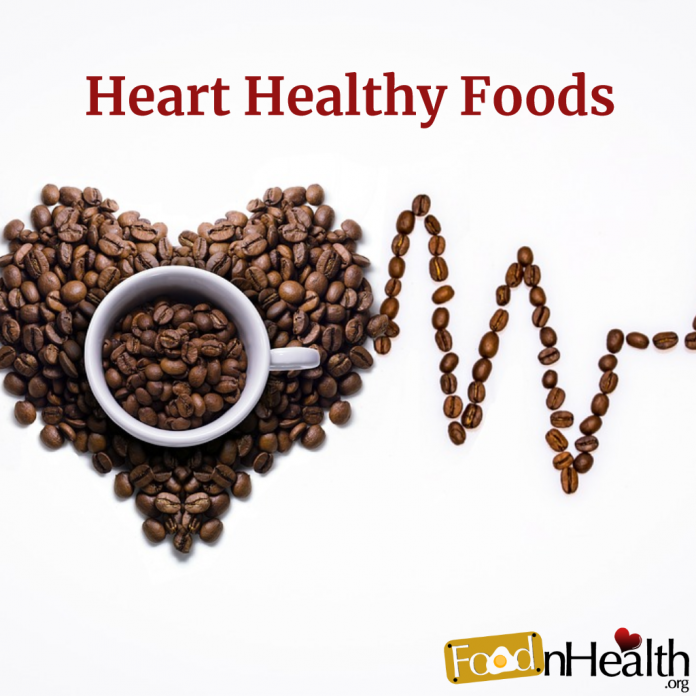 You might have gone through a lengthy list of foods not to eat if you have a risk of developing heart diseases but the health of the heart cannot be only improved through ‘’avoiding foods’’. There are numerous heart-friendly edibles as well which have a positive impact on the heart and tend to increase its health. So we have shortlisted 8 best heart-friendly foods that you should definitely eat if you are someone who either has heart disease or a risk of developing heart disease (you can check the risks through a cardiovascular risk calculator which has been mentioned below). Well, for the oatmeal lovers, the good news is that oatmeal works in lowering the cholesterol. This lowered cholesterol is in turn released from the body instead of being absorbed. You can also go for wholegrain bread and even pasta but be sure that they are wholegrain. Oatmeal is often referred to as a powerhouse which is really healthy for the body. You might’ve heard this multiple times that dark chocolate is your heart’s favorite and well, it is a piece of big news for the chocolate lovers. Basically dark chocolate has polyphenols which help in reducing inflammation, chances of strokes, and even helps with lowering blood pressure. But one thing that must be remembered is that this is only applicable to chocolates consisting of about 70% cocoa. You can not expect the chocolates containing a high proportion of sugar to work in the same way for the heart. Not many people are aware of this but potatoes are also heart-healthy food. And when we say potatoes, we do not mean the fried ones because those are actually your heart’s enemy. Potatoes are homes to potassium and rich in fiber. So they lower the chances of strokes. Moreover, they can also aid in different heart diseases making the condition of your heart a lot better. If you are someone, who just needs a snack to munch upon, then trust us. There’s no better option than almonds. You can also eat pistachios and walnuts along with almonds. These nuts have the presence of healthy fiber for the heart. They are also saturated with omega-3 fatty acids and vitamins. Experts say that people who eat a handful of nuts per day have a lean body and the chances of them having heart diseases are little to none than people who do not. Oranges are famous for the presence of vitamin C. And not only do they have the goodness of vitamins, but they are also famous for reducing the risk of clots in the heart to about 21%. Although they are well-known for the heart risk lowering but there are some citrusy fruits which interfere with the activity of cholesterol-lowering medicines. Therefore, it is still better to ask the doctor if it is safe for you to eat these fruits and which ones in specific should you go for. There is no better selection of cooking oil other than the extra-virgin olive oil. The reduction in the percentage chances of strokes and heart attacks are an appreciable factor of this oil. Maintenance of the blood cholesterol along with the blood sugar level has never been so easier but through the consumption of olive oil. Numerous people that tend to fall prey to this disease can do so much to avoid themselves from falling into this hole. However, the reason why they don’t is that of unawareness. The lack of awareness about the chances that they have of developing such a disease is unknown to the people and they consider themselves healthy as long as they start feeling the symptoms. Heart diseases and the chances of developing them are dependent upon a number of factors and obesity and inheritance can be two prominent reasons. Many people think have the chances of getting a disease either because it runs in their families or because of some other reason but they remain ignorant and turn a blind eye towards such factors. This calculator is basically developed for the purpose of calculating for you the chances that you have of developing heart disease. This calculator is just another way to start prevention because the famous saying is, ‘’prevention is better than cure’’. Below is the basic outlook of the calculator. You can use it at calculators.tech. The calculator requires you to inform it with the information of your age, cholesterol, your gender, your HDL-C and your systolic blood pressure. It then calculates your risks of getting a disease, your cardiovascular risk and the age of your heart.